Tera App is an old Forex / Binary Options trading software, that went by the name TeraBit Trader. Sometimes we see a new software and get excited, in the case of Tera App there is nothing to get excited about. Lucky for you, you decided to do some research before wasting $250 on a scam trading software like Tera App. If you made a mistake, and already deposited your money, then you should read about brokers complaints. There is no such thing as a 100% accurate trading software, and anyone that makes claims of such insane profits, must be an online scam. A smart investor who really wants to understand how this scam really works will go read: The Binary Options Trading Scam. 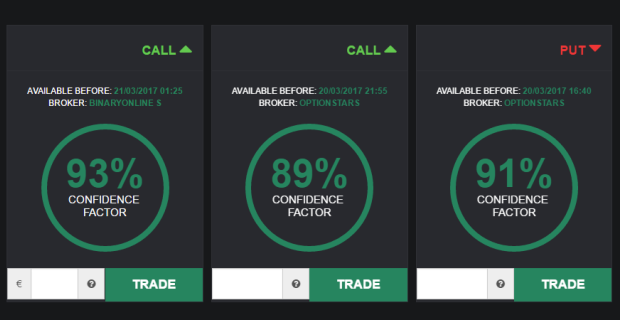 Compare this software with a real trading robot. The “amazing” trading software that Tera App gives their “investors” is basically useless. We have seen the Tera App software used by many other companies, and it is the same useless product. All it gives you are random trading signals which are not based on any technical analysis. A real binary options robot, gives investors more than 25 options to control the robot. Blindly following Forex or Crypto Currency trading signals, is a sure way to lose your money quickly. The big problem with trading binary options, is the hundreds of fake binary option brokers.There are only 20 brokers that are licensed and legitimate, the other 300 are unlicensed brokers. You should look at the list of licensed brokers here. 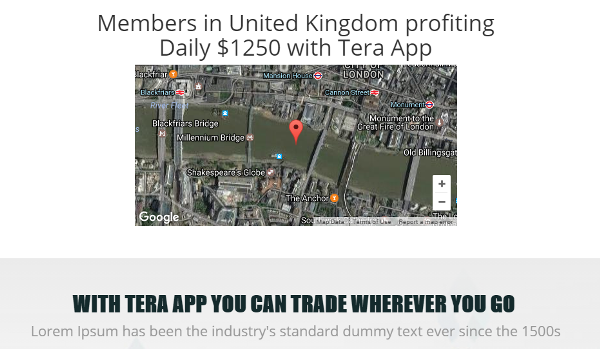 We signed up for the Tera App software, and they gave us an account with an unlicensed broker called Universe Markets. This broker is not licensed or regulated in South Africa by the FSB, or anywhere for that matter. There is no reason for someone living in London or Johannesburg, to trade with a Forex broker that is not regulated. 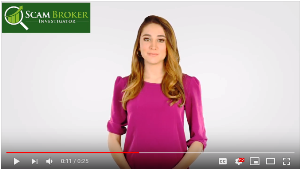 Please share with other investors which scam broker the TeraApp recommended for you, in the comments section.